Graduating from college is a mix of emotions. On one hand, it’s one of the greatest accomplishment of your life. 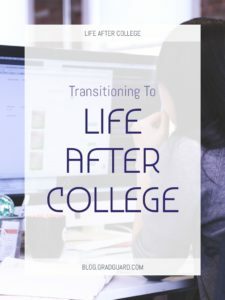 On the other, you’re leaving behind everything you’ve known for the past few years and diving head first into the real world that in many ways are not as forgiving as college. The prospect of becoming financially independent and keeping a job can be overwhelming. Fortunately, many have made the transition, some more graceful than others, and if you keep the following in mind you should be able to successfully make the transition too. One of the best things about being a college graduate and transitioning into the real world is the fact that you don’t have any more homework! However, that euphoric thought is fairly short-lived once you realize that you have to find a job. Instead of reading and essays, your homework will be doing market research on growth industries, where they are hiring, and finally applying for those jobs. Unless you were working full-time during school, you’ll soon realize that having a career is more demanding than having a full course load. Another key difference between college and the real world is what is expected of you. Sure, during college you are expected to complete readings, papers, homework, and projects. If you did poorly, or simply chose not to complete some of these things, the worst you could expect was a bad grade. This is not the case in the professional working world. Work deadlines are a very real thing and if you miss them often times it can mean losing your job. Organizing yourself and keeping a steady workflow will be key to your success in your first job. One key thing to remember during and after making the transition into a working professional is that the world does not owe you anything. Simply having a degree doesn’t mean you are entitled to a job and it doesn’t mean you automatically get a paycheck. It qualifies you to be able to apply for positions, but beyond that, you have to earn it. This means you have to become your own biggest advocate. Knowing what you want and how to get it will give a leg up when looking for a job. A lot of recent graduates make the mistake of accepting the first offer that comes their way. While this can be enticing, it is better to vet companies to make sure that they are a good fit for you and vice versa. There’s few things worse than being stuck at a job you hate so make sure to ask questions about the company during the interview process. Questions like what do employees in this role say the hardest part of the job is? What are the best parts of working for this company? What kind of benefits does this position offer? If you have student loans find out if the position offers loan refinancing. Remember, finding a job won’t be easy. Often times, you’ll have to apply to 50 plus jobs before finding one that sticks. Graduation comes with a host of new responsibilities. Some of us will have experienced a few of these things in college, but most of us didn’t have to juggle all of it. I’m talking about rent, car insurance, health insurance, car payments, etc… There are plenty of monthly expenses that all of a sudden you are expected to pay for. Thinking about it all at once can be frightening, but keeping a detailed budget will help you to understand what you have coming in and what you have after all your monthly financial obligations have been met. Remember, having a credit card is okay, but be vigilant about paying what you charge on a monthly basis. You’ve accepted an offer and your first day is imminent, so exciting! Remember, this is just the beginning and now you actually have to perform. Take initiative and study your company and its competitors. Follow industry thought leaders on Twitter and subscribe to industry sources of news. Read books related to your job. Basically, keep yourself informed. Increased knowledge of your space will allow you to bring fresh ideas to superiors and will put you ahead of many of your colleagues. If, six months into your position, you find that you severely dislike your job or feel that you aren’t being valued, do not be discouraged. Some people love the first job they get, but many others aren’t so lucky. 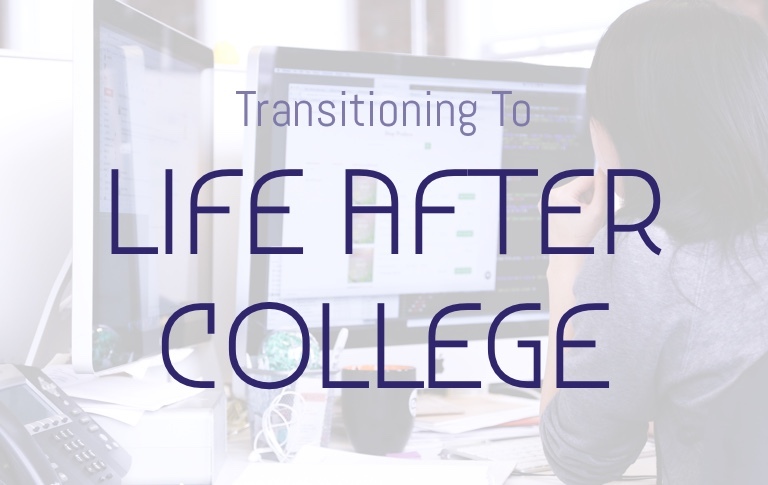 It takes time to discover yourself after college and really understand what it is you want to do. This doesn’t mean you shouldn’t take your current job seriously. In fact, it means you should try even harder because you want to be able to list your accomplishments when going into interviews. Always leave an employer on a good note and never leave a job before you have secured another one. You still have to pay the bills! One of the hardest concepts for a recent grad to grasp is the balance between being professional and still having a social life. During college it was easy, often times you could choose to only have classes in the afternoon and not have class on Fridays. Impromptu road trips weren’t a problem. Unfortunately, that is not the case when you have a career. A lot of positions will have you working 8 to 5 Monday through Friday and you’ll be lucky to get two weeks of paid vacation. This reality can be depressing, but all it means is that you’ll have to manage your free time more effectively. Fill it with contact with family and old friends. Engage in the community around you, join adult sports leagues, book clubs, or an art class. This will help keep a healthy balance between work and having a social life. Becoming an adult is a scary, fun, anxious, and rewarding process. Nothing is going to happen exactly as you expect it to. Sometimes you’ll fail and deal with rejection, but the key is to stay as positive as possible and learn from your mistakes. Talk to your parents and mentors, chances are, they have experienced problems similar to what you’re going through. Most of all, be happy! College was fun, but being an adult has plenty of rewards too! About the Author: Brooks Hill is a freelance blogger with a B.S. in Strategic Communication and a minor in History from the University of Utah. In his free time, he enjoys playing guitar, discovering new music, mountain biking, camping and socializing with friends.